Home » Kitchen Help Category » Flooring » Tesselate… to tessalate… tesselation… not! Tesselate… to tessalate… tesselation… not! For many a moon I have pondered: What is the exact technical term for when you lay pieces of streaky VCT floor tiles at 90-degrees to each other. The most common pattern, I am sure, in mid century homes that used this ubiquitous vinyl- or vinyl-asbestos floor tile — similar to the Congoleum VCT available today. I have always thought, there must be one word in the industry that means “lay each tile at 90 degrees to each other” and which is more precise — leaving no confusion about what you’re going to do. So, the other day I got all excited because somewhere someone said this was called “tesselation.” I got to experience tesselation-elation! 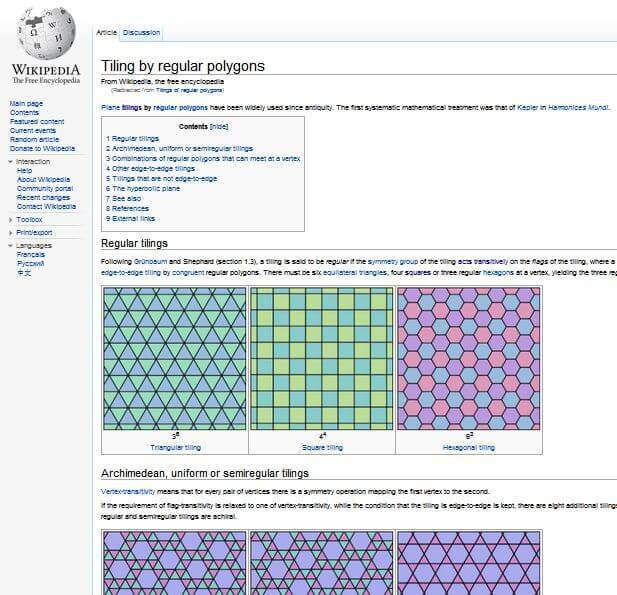 Alas, my elation was short-lived, as I consulted with the wikipedia and tesselation seems to mean ‘fitting pieces of tile together’, generically speaking, not in any particular pattern. There are a many, many ways to tesselate, depending on the shape of the tile. “Tessela” means “small square” in Latin, although tesselation refers more broadly to fitting any number of shapes together. In fact, the Wikipedia reminded that: This is math. I think it would be called plane and solid geometry. As in uniform tiling of the Euclidean plane, and, tiling of regular polygons. There is never any running away from math — it’s actually very useful in solving interior design problems. To be sure, these wiki-pages are useful for patterns and ideas to consider if you are going to tile a floor or a tabletop. But, it may be easier to refer to this reference: 88 mosaic tile patterns from Daltile. 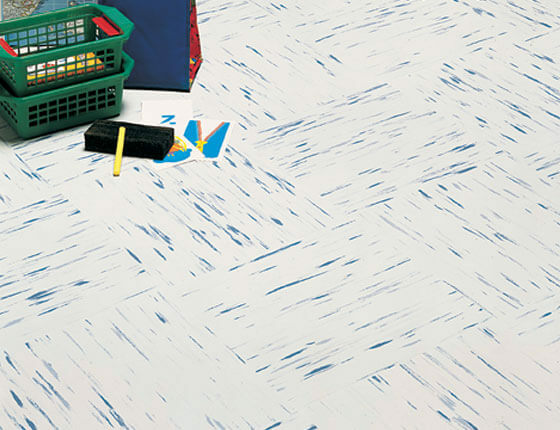 And for other ways to lay your square vinyl floor tile — your tesselas! 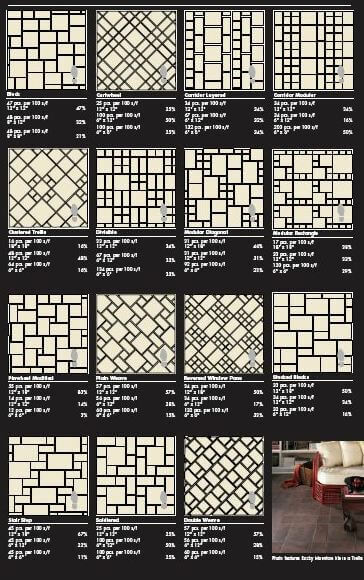 — remember this one too: 30 patterns for vinyl floor tile from 1955. Anyway… I probed all around that geometry-soaked Wikipedia world, and in the end, I think that to lay tiles at 90 degrees to each others is simply called: Basketweave. I’m accustomed to thinking basketweave involves lots of little pieces of bathroom floor tile — but the concept also makes sense fitted to our streaky Azrock Cortina (which I used in my kitchen)… linoleum from Marmoleum, Armstrong or Tarkett (which have a few streaky choices)… or even wood parquet — like in my dining room (pictured above). Problem solved. I have the word. Maybe orthogonal a good term? I believe the phrase, “the two tiles were orthogonal to one another” is perfectly valid. hmmmm, I hear what you are saying, but it looks like ‘orthogonal’ also could just mean ‘checkerboard’… ? 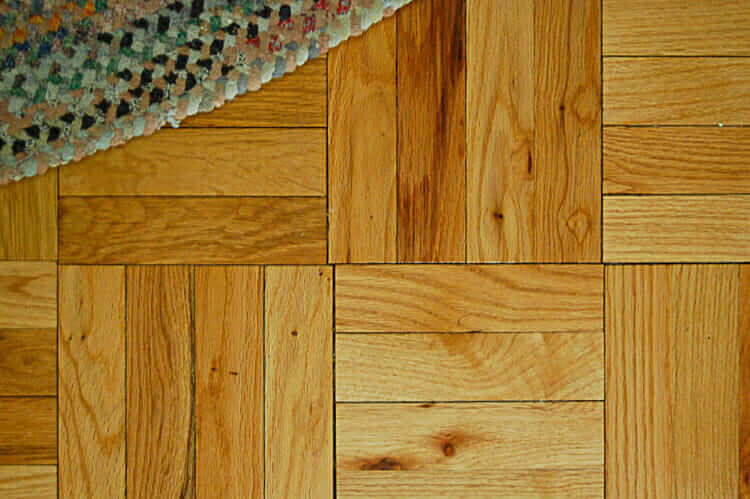 In very old builders terms, tessellated flooring was simply synonymous with decorative or patterned flooring (usually describing some kind of border or inlay) but it is a non-specific term- So it is not an incorrect word for the pattern, as it is decorative, but quarter turn is more specific to exactly what kind of tessellation is being used. 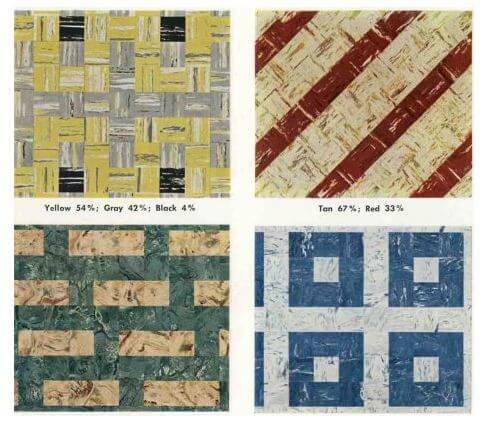 (say versus herringbone or basket weave.) Pattern names or terms could be quite the matter for debate as time, region, etc. tends to cause different terminology to be applied to things. I was always told that the reason behind laying these tiles down in 1/4-turns is to camouflage dirt and debris, and reduce the need for constant cleaning. It makes sense to me that pet hair, dirt, etc will probably show a bit less on the turned tile than it will on tile all facing the same direction. This is the same pattern the original floor tile in our kitchen has, but ours has black streaks on a white background. Ours had been tiled over by past occupants of the house and beyond saving. In the trades we call it “quartering” or “quartered”.